A church and a hotel, both new projects, bagged this year's Architectural Heritage Awards on Tuesday. And a building at the site of an iconic former bakery received a special mention. The Cathedral of the Good Shepherd, Singapore's oldest Catholic church, won the award for restoration. The award for restoration and innovation went to The Warehouse Hotel, a former godown. The Red House at 75 East Coast Road received a special mention for retaining a familiar social memory of a Katong landmark through its use as a local cafe. In a statement, the Urban Redevelopment Authority (URA) said the cathedral has been "delicately restored" and took note of the hotel's "thoughtful restoration and sensitive integration of the old and new". Introduced in 1995, the annual awards recognise the high standard of restoration work done on heritage buildings. To date, 130 projects have been given awards. Conferred by URA - on each project's building owner, architect, engineer, principal contractor and conservation specialist, if applicable - the awards are open to projects completed by June 23 this year. URA did not reveal how many submissions it received. Applications were judged by an assessment committee, whose 11 members included National University of Singapore's vice-provost for graduate education Brenda Yeoh and Singapore Heritage Society executive member Yeo Kang Shua. The committee was chaired by URA chairman Peter Ho. There are two award categories. The award for restoration is for projects that demonstrate exemplary restoration of gazetted heritage buildings, adhering to the "R" principles - maximum retention, sensitive restoration and careful repair, among other criteria. The award for restoration and innovation is for integrated old and new developments that not only fulfil the criteria for the restoration award, but also demonstrate innovation and architectural excellence, with the new additions drawing inspiration from, and enhancing, the old parts of the project. Special mentions are given out for commendable efforts in certain aspects of restoration work. This month, there will be talks, exhibitions and tours as part of the inaugural Architectural Heritage Season, a programme held in conjunction with the awards that celebrates Singapore's built heritage. Go to uraconservation.eventbrite.com for event details and to register for a tour. A long time ago, a warehouse stood along the Singapore River, with pulleys used to hoist and lower goods for storage. Naked lightbulbs hung from the ceiling as labourers worked below. 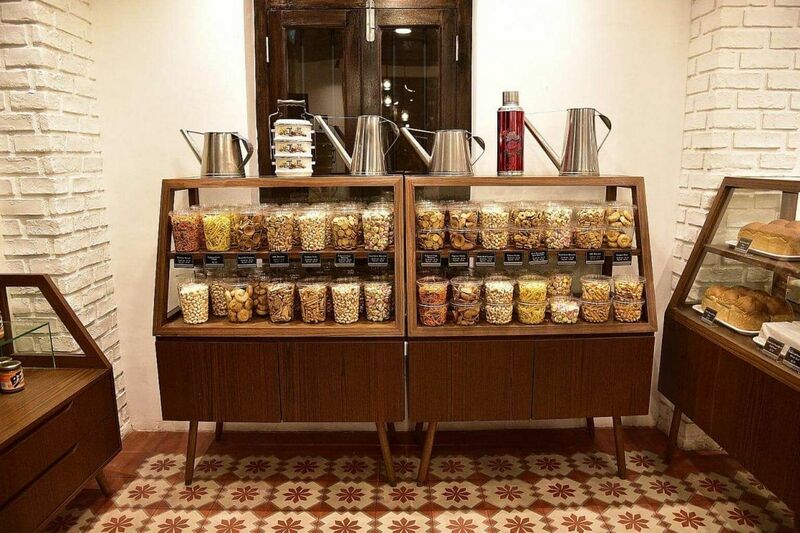 Today, remnants of the past can still be found in the building - built in 1895 - which now operates as a 37-room boutique hotel. In its lobby are motifs of pulleys, lit with incandescent bulbs. Look up and one can see the original truss from the roof of the old warehouse, with new portal frames discreetly added for support. 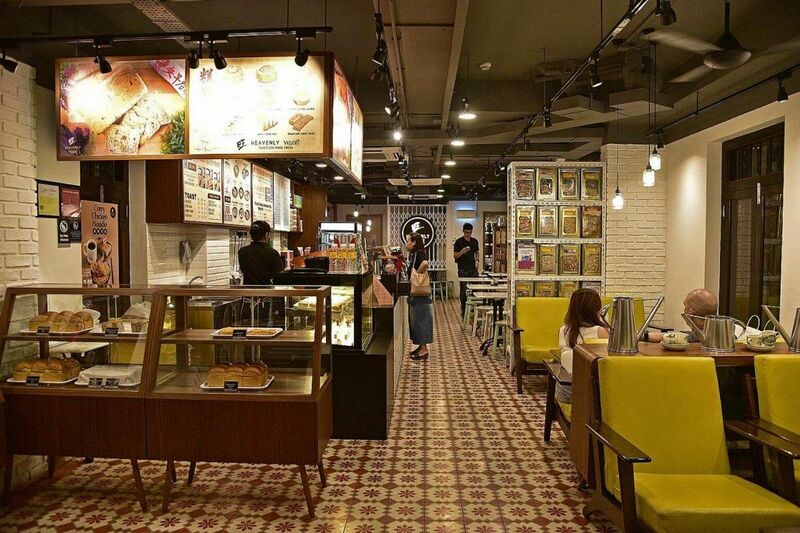 The Urban Redevelopment Authority says in a statement: "The heritage building now whisks guests to a bygone era of bustling trade activities of 1930s Singapore. Left empty for a long time, the three connected structures were in a dilapidated condition. Nevertheless, the team managed to revitalise them after thorough research and careful site investigation." The winning team consists of building owner I Hotel, architecture studio Zarch Collaboratives, engineering firm JS Tan Consultants and contractor Towner Construction. The results of their hard work can be seen throughout the building. 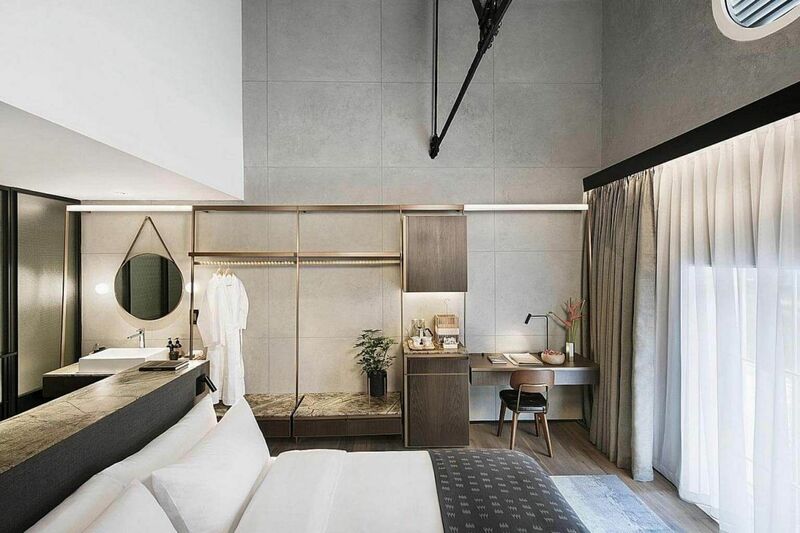 In the guestrooms, the use of solid metallic materials such as brass, as well as the raw finishing of surfaces, took cues from the building's industrial past. Its jackroofs - raised mini-roofs atop a main roof, a typical feature of warehouses - were also retained and now allow light into the corridors. The hotel opened in January. Mr Randy Chan, 47, principal architect at Zarch Collaboratives, says: "We wanted to not only respect the building's past, but also make it relevant for hotel guests today." To this end, the original vertical security bars of the building's windows were kept and refurbished, but received an innovative touch so that some windows can double as fire escapes. One challenge was having to remove the previous layers of paint on the facade, applied by its former owners, adds Mr Chan. "There were 19 to 22 layers of paint and these had to be painstakingly removed." When this was completed, the team uncovered several Chinese characters on the facade - evidence that it was once an oil mill. Mr Chan says: "This was a great find for us and we decided to restore these characters to celebrate the building's rich history. "I'm encouraged by the award, as it recognises the team's efforts in conserving our local heritage and being creative with our buildings." Step into this cathedral and one would never guess that it is 170 years old. The chequer-board white-and-black floor tiles look flawlessly new. Its green glass louvred windows are in pristine condition, as are the multi-coloured stained-glass panels, depicting figures such as St Joseph as well as the Madonna and child. 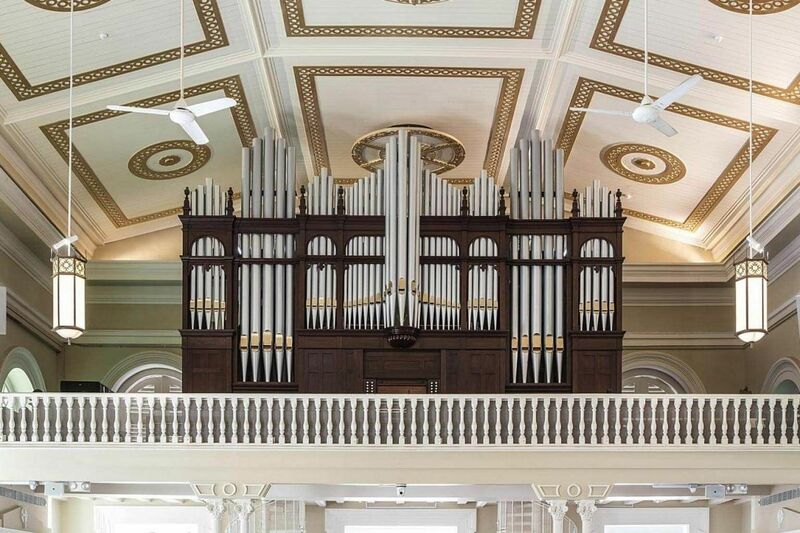 Its pipe organ - Singapore's oldest playable one, installed in 1912 - in the choir loft of the main church building sounds rich, grand and melodious. 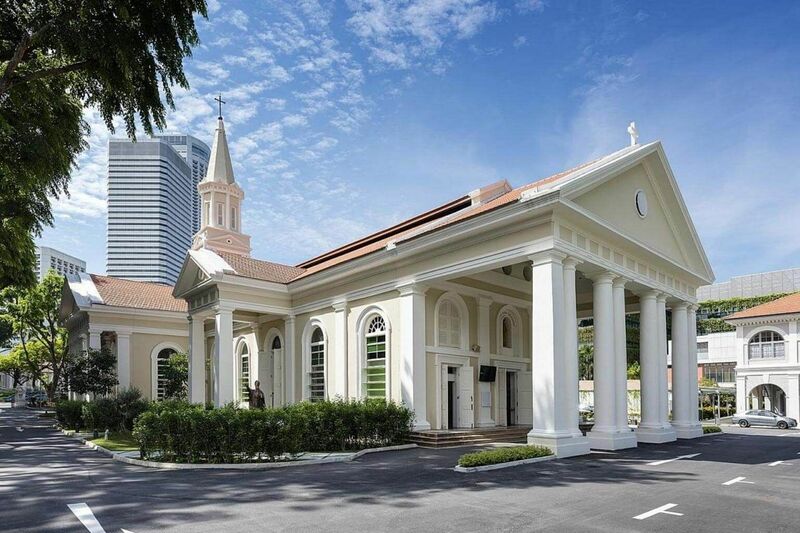 The building's restoration is the hard work of a team that includes the building's owner, the Titular Roman Catholic Archbishop of Singapore, which is the legal entity of the Catholic Church here. Also part of the team are architectural firm Architects 61, engineering firm ECAS Consultants, contractor Shanghai Chong Kee Furniture & Construction and architectural conservation specialist consultancy Studio Lapis. Construction works started in 2013. Before the restoration, the cathedral was crumbling and in desperate need of repair. Previous articles described it as "dull" and "drab" and, in the 2000s, cracks began appearing on its walls, floors and columns. Ms Serena Tan, 45, associate principal of Architects 61, says: "When we first surveyed the floor in 2012, it was heaving, cracking and needed to be reconstructed. "So we took this as an opportunity to incorporate new mechanical and electrical systems in the new floor. This allowed the refurbished cathedral to be air-conditioned, which it was not before." The cathedral's stained-glass panels, installed in the early 1900s, were dismantled for restoration at an off-site studio. The pipe organ, previously ravaged by age, was also dismantled and shipped to Diego Cera, a pipe organ-building company in the Philippines, for restoration. The restoration project was completed last year and cost about $40 million. On Wednesday, the cathedral also received an honourable mention from Unesco for its heritage conservation works. As part of the cathedral's restoration project, a new annex building with a heritage gallery was also constructed. Mr Jevon Liew, 33, a member of the cathedral's restoration committee, says: "We hope this heritage gallery will encourage people to know more about the church and the Catholic faith and, hopefully, be an inspiration for other communities to piece together their own histories." Visitors to the former Katong Bakery & Confectionery would remember the building's red columns, parapets and, of course, the delicious cakes, Swiss rolls and curry puffs. So iconic was this 78-year-old shop that fans and foodies started calling it the "Red House Bakery", a name that has stuck with the building. But the bakery shut in 2003 after the building was considered structurally unsafe. Its decrepit state, however, did not stop its developer, Warees Investments, from wanting to conserve its heritage elements. The company, the property arm of the Islamic Religious Council of Singapore, viewed 75 East Coast Road as a treasure that needed to be cherished. Mr Zaini Osman, 40, Warees Investments' chief executive officer, says: "The value of the building's heritage was paramount in our planning because it is the only building of its kind in terms of its typology. It is also a landmark of Katong and a representation of the community that deserves to be kept." The building, he says, is built on land bequeathed or willed by a Muslim philanthropist for religious or charitable uses. Between 2003 and 2012, it was left vacant, a time during which its wooden structures were infested by termites. In 2012, when a project team - including architectural company S.H. Lim Architects, engineering firm K P Chai Engineering & Management Consultants and contractor Tokyu Construction - embarked on its restoration, many of its timber windows and wood carvings were beyond repair. To make the building safe again, the team strengthened its structure with new beams. Its original 16 columns as well as parapets and balustrades were restored on-site and new windows and carvings, identical to those originally used, were made. Mr Vincent Song, 41, design director at S.H. Lim Architects, says: "We also replaced the red and beige floor tiles, which was challenging because we couldn't source these locally. Eventually, we had to get them from a supplier in Vietnam." But what was also important to the team were the activities that were to take place in the refurbished premises. Hence Warees Investments sought a bakery to occupy the site of the former Red House Bakery on the ground floor of the two-storey building. It decided on a Heavenly Wang cafe, which bakes its own confectionery and sells traditional items such as iced gem biscuits. The Red House opened in the third quarter of last year as an integrated heritage development consisting of 42 residential units and five commercial shophouses. The Urban Redevelopment Authority says in a statement: "This project is commended for the energy displayed in re-establishing some memorable and intangible elements of Katong's heritage. "The dedicated owners have kept alive the building's intangible heritage and, today, the building remains relevant to the community." Mr Zaini says: "Every commendation is special for us and the team involved - engineers, architects, contractors as well as our community partners. "The mention also recognises our efforts to restore The Red House's physical elements and, in a way, rekindle the atmosphere of the past."